There is an inherent amount of added difficulty choosing the top tracks of the year. With album picks, the choices get narrowed down quickly once you take out any filler tracks and/or sub-par material. However, tracks are short and there are different metrics when looking for a great one. I’ve found that most all of my favorite tracks are ones that I disregarded altogether at first. These are the ones that, after several listens, come back to your mind and get stuck there like a virus. The only cure? More listens. As cheesy as that may sound, it’s true. We’ve all had a song stuck in our heads before, but the truly great ones get embedded, begging for another listen. Thus bringing me here. My favorite tracks of last year. Some of them came easy, others were hidden away in my iPod, deserving more attention. As with my top albums of 2011, I try to have a little variation, and to avoid picking the albums’ top single. There is no order to the list, simply a compilation of great songs. Enjoy. Reptar was a new discovery for me this year. I can thank turntable.fm for leading me to this great track. A cross between dance, light punk, and pop, “Rainbounce” is an extremely catchy tune with multiple variations in both tone and style. During their recording phase, Reptar received help and input from indie producer Ben Allen whose history includes work with Gnarls Barkley, Animal Collective, and Matt & Kim. These sounds are most apparent in this song through the use of dense synthesizer loops and changing tempos. Amidst a year filled with financial uncertainty, political hurdles, and overseas turmoil, a plethora of fantastic albums arose. We had the much awaited Jay-Z/Kanye album, some rookies returning with highly anticipated sophomore albums, and some oddballs that seemed to come out of nowhere. Assigning a number rank to any album is a tedious task in itself. We could sit and debate why one album is one rank higher than the other for hours. To avoid that whole process I have listed my top albums of 2011. They are in no special order. 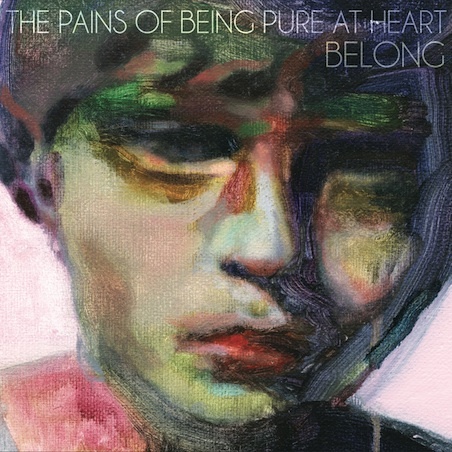 The Pains of Being Pure at Heart (Pains) won me over early with their self-titled album some months ago. They excel in creating a gritty, stripped down, muddy sound that is laced with simple, cheesy lyrics. Belong expands on this sound even further by making great use of former Smashing Pumpkins producer, Mark Ellis. If you are fan of the Smashing Pumpkins then you are familiar with their grungy, almost torn distortion that reigns throughout their entire catalog. Ellis helps the Pains create a similar sound of their own that further adds depth to contrasting sounds of a dainty synthesizer and over-simplified drums. Highlights: “Heaven’s Gonna Happen Now”, “Strange”, “Belong”. Don’t let their name fool you, Destroyer is just one of many recent bands to bring back brass instruments to indie. The main weapon of choice, the saxophone, livens up the album and makes for great relaxing background music. Mixed into the ensemble are perfectly placed warm guitar solos, along with some variation between backup singers. Highlights: “Chinatown”, “Savage Night at the Opera”, “Kaputt”.